Ever since Toyota first started making vehicles more than 75 years ago almost every vehicle has been top of its class, so if you are looking for a ride that will surpass your expectations at every turn the hard part will be choosing among your many fantastic Toyota options. Let’s take a look at some of the many reasons why your next vehicle should be a Toyota. Toyota has prioritised quality since the very beginning, spending countless hours and resources ensuring that everything from a vehicle’s suspension to its engine to the look and feel of its interior is setting a high standard. Toyota has also accumulated numerous awards over the years that show its commitment to quality, from the First Japan Quality Control Medal to the illustrious Deming Prize, which is considered the world’s oldest and most respected prize for quality. Widely credited with ushering in the ‘family car era’ in Japan, Toyota’s engineers have been at the forefront of vehicle safety research for decades. Not only does Toyota spends millions on research and development every year to make their vehicles safer, but they also share their findings with other organisations and have even created driver safety courses for teens. The new Toyota Safety Sense package is a fantastic example of Toyota’s safety first approach, as it utilizes the latest state-of-the-art technology in features that include lane departure alerts, pre-collision systems and automatic high beams. Ever since Toyota first started making vehicles, they have been known for their ability to outlast the competition, with the epic longevity of vehicles such as the Corolla and Land Cruiser setting a high standard early on. Toyota’s continue to be named among the most durable vehicles in their class and are regularly named among the top 10 most dependable vehicles of all time. Toyota understands that great ideas can come from anywhere, and it has never been afraid to throw caution to the wind and try something new. In fact, Toyota’s logo was the result of a public design competition back in 1936 and since the early 1950’s this forward thinking company has used its Toyota Creative Ideas and Suggestions System to solicit ideas from within every layer of its organisation. To this day, Toyota continues to uncover and embrace creativity wherever possible, including via its wildly popular Toyota Dream Car Contest for kids. Toyota’s engineers have always been one step ahead when it comes to high-tech improvements. For example, the Corolla was the first domestic vehicle ever to be mass produced with MacPherson strut suspension, allowing for a lighter vehicle that was less expensive to build yet able to support a larger, more powerful engine. Similarly, the Toyota Prius represented a huge step forward in hybrid technology and spurred other automakers to follow suit and embrace greener technologies. Regardless of the model, every Toyota features the latest high-tech capabilities, from futuristic aerodynamics and incredible fuel efficiency to high-end creature comforts. 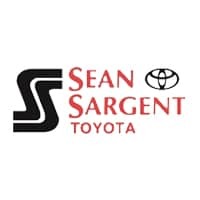 If you are in the market for a quality new or used vehicle, we have one of Alberta’s best selections right here at Sean Sargent Toyota. Check out our wide range of options online, give us a call or drop by and see us in person here at 10625 117 Ave Grande Prairie.